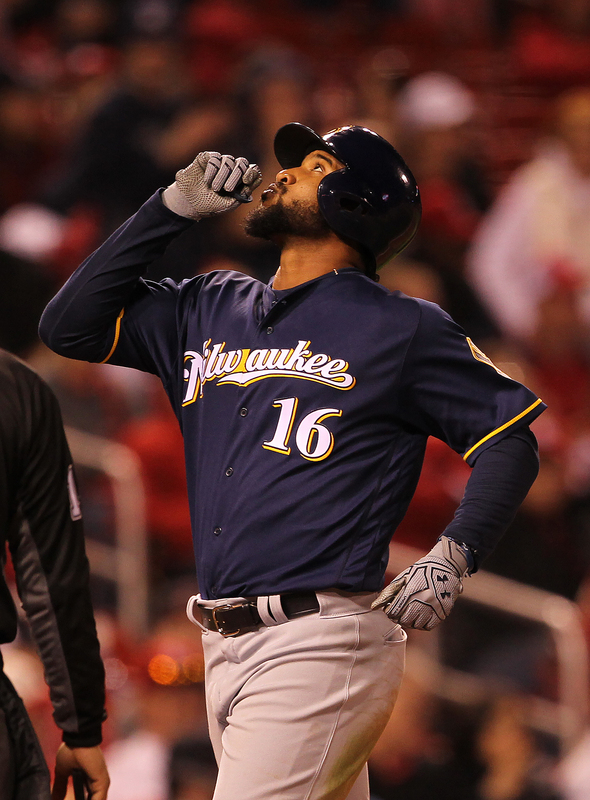 The Milwaukee Brewers are supposed to be rebuilding. Nobody knows how long this recent streak of success will last, but for now, the Brewers are at the top of the National League Central Division, looking down at the other four teams. Jett Bandy’s ninth-inning RBI single was the highlight of a two-run rally and the Brewers beat the San Diego Padres 3-1 at Petco Park on Wednesday night. 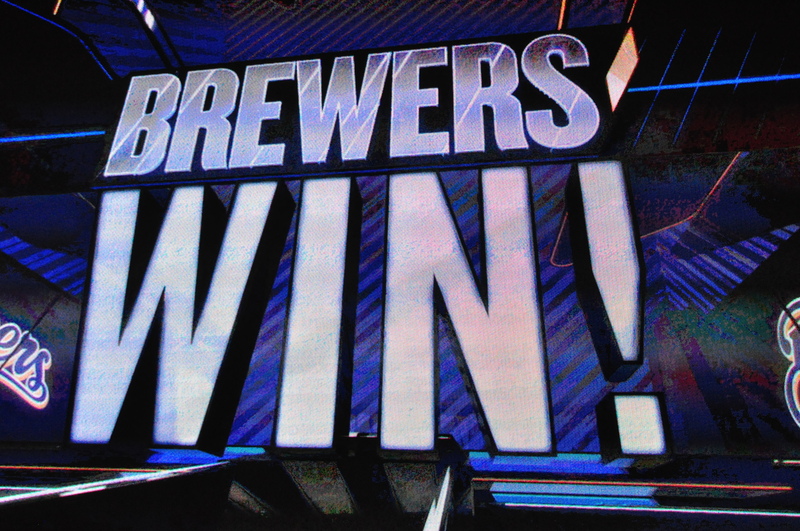 The Brewers won for the eighth time in the last 10 games to climb five games over .500 at 23-18. It’s the first time they’ve reached that mark since September of 2014. The Milwaukee Brewers fell behind 3-0 to San Diego on Monday night, but they battled back to force extra innings before eventually losing 6-5 to the Padres. Playing without regulars Travis Shaw (finger), Orlando Arcia (rest), Eric Thames (illness) and Ryan Braun (disabled list), the Brewers still managed to make a game of it. In fact, Eric Sogard’s second home run in four games gave the Brewers a 5-4 lead in the top of the 10th inning, only to see San Diego’s Hunter Renfroe club a walk-off, game winning two-run home run in the bottom of the 10th to pull out the victory for the Padres. Jesus Aguilar (3-hits) clubbed a home run in the sixth inning and Domingo Santana (3-hits) drove in three runs, the last of which came on a run scoring single in the 8th that scored Hernan Perez and tied the game 4-4. Sogard, who has two home runs already with the Brewers, has hit just 10 in his career overall. The Brewers used new closer Corey Knebel in the 9th and went to Oliver Drake (2-1) in the 10th. Drake, who had pitched well for the Brewers in relief, gave up the game winner to Renfroe. Padres starter Luis Perdomo struck out a career-high nine over six innings for the Padres. Brewers pitcher Chase Anderson allowed four earned runs on six hits with three walks and five strikeouts in 5 1/3 innings. The Brewers designated relief pitcher Jhan Marinez for assignment and recalled left handed pitcher Brent Suter from Class AAA Colorado Springs. Marinez was 0-2 with a 5.40 ERA in 15 appearances this season. James Shields struck out nine in seven innings to lead the San Diego Padres to a 3-0 win over the Milwaukee Brewers on Thursday night at Miller Park. The Brewers outhit the Padres eight to seven, but they had no extra base hits to help push runs across the plate. Ryan Braun managed a single to extend his hitting streak to 12 games and Scooter Gennett returned from the disabled list because of an oblique injury in late April. Gennett had a pair of singles. Shields improved to 2-5, winning his first game since giving up 42-year-old Bartolo Colon’s first career home run last weekend. Ryan Buchter earned his first save for San Diego, which has held their opponents scoreless in their last 23 innings. 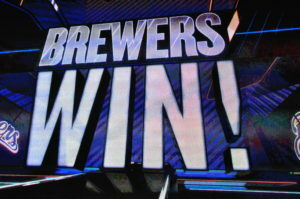 Jimmy Nelson gave up two runs on five hits in eight innings but took the loss for the Brewers. He dropped to four and three while the Brewers have now lost six of their last nine.